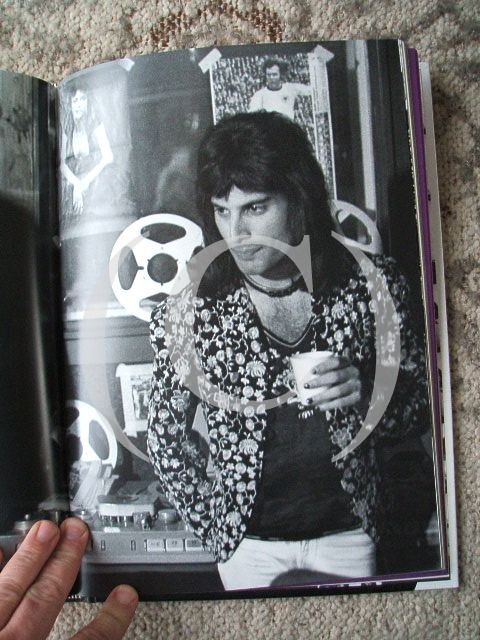 In December 2003 I received the Mick Rock Killer Queen book. 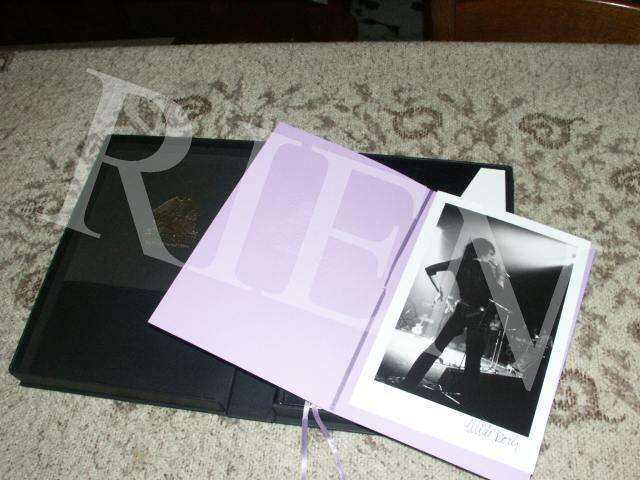 This was an item I had been waiting for ever since it was announced to be in the making. 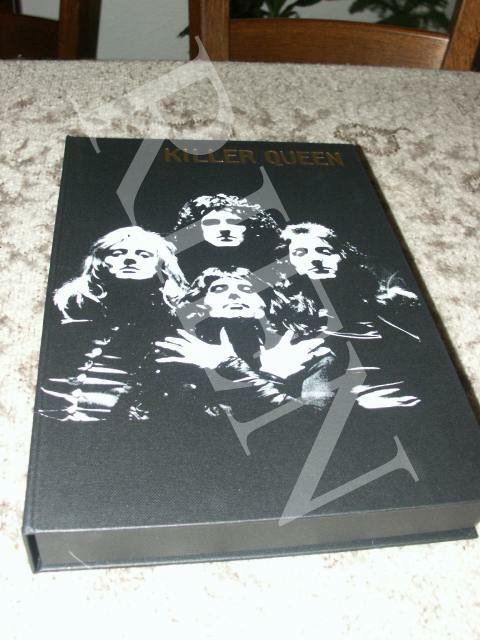 I ordered it a couple of months before delivery and the price of the book was HUGE. 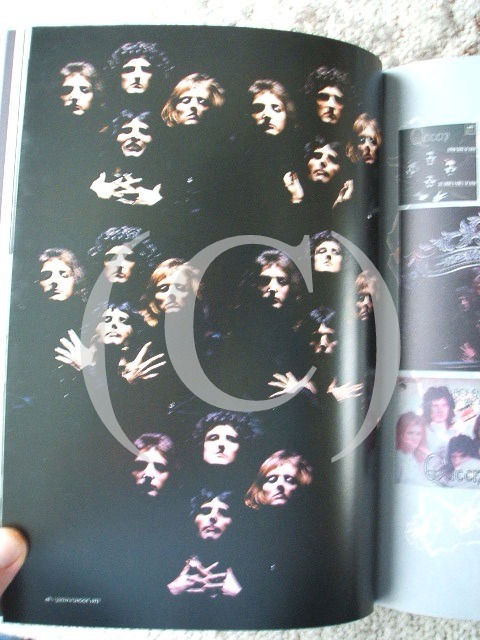 In my view just too much, but I wanted to have this book from the first day it was announced and I only wanted the DeLuxe version. 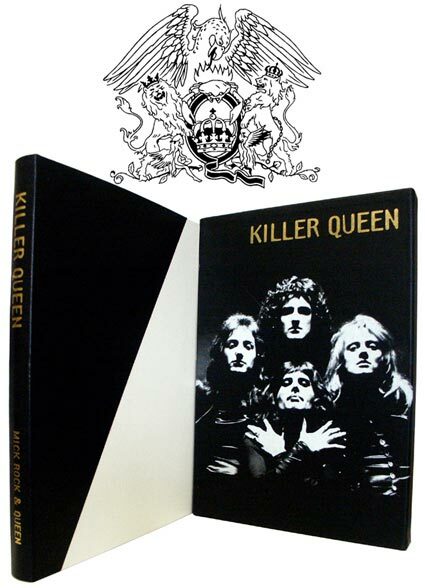 The outside of the book is in full leather made of black and white goatskins. 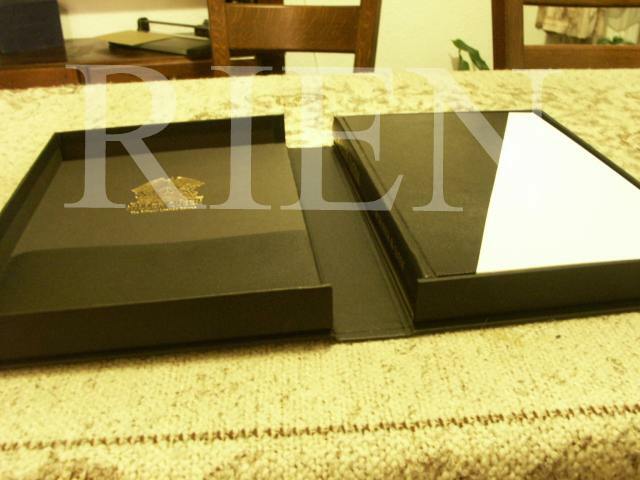 Over 200 pages are master-printed on to 11 different paper stocks, including acetate, trace and 200gsm matt art stock. 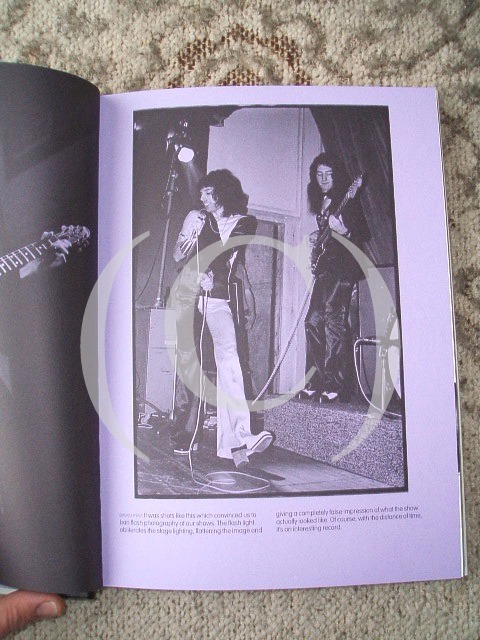 The images and text are printed in monochrome and full colour with image varnishing. 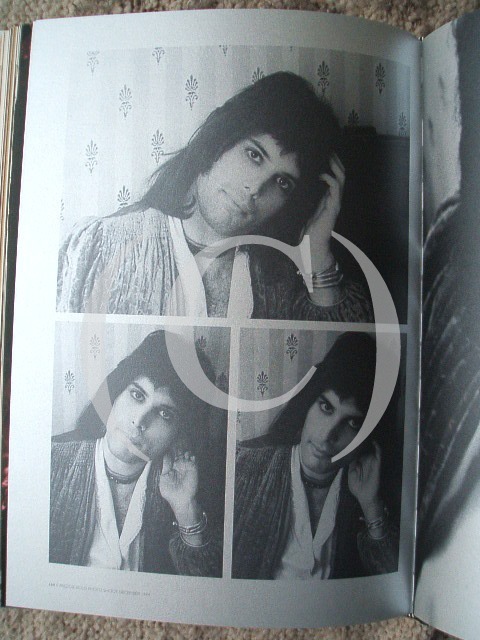 When the book is closed the outside of the pages is gold. 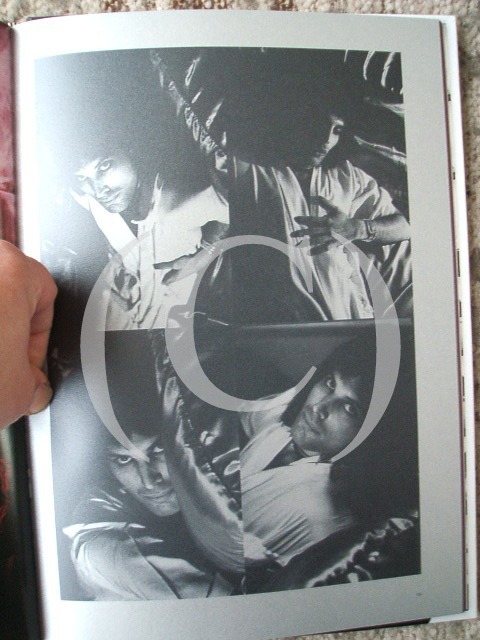 The story is great, the pictures are breathtaking. 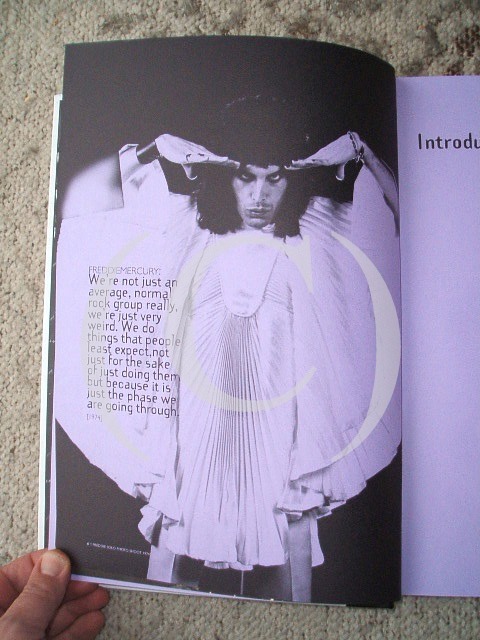 The story contains quotations by Mick Rock, Queen, Mary Austin and some articles from music magazines. 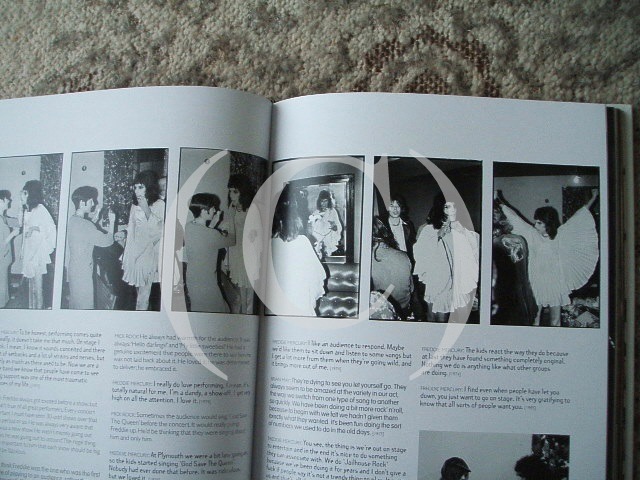 This story brings the pictures alive and teleport you right back to 1973, 1974 and 1975. 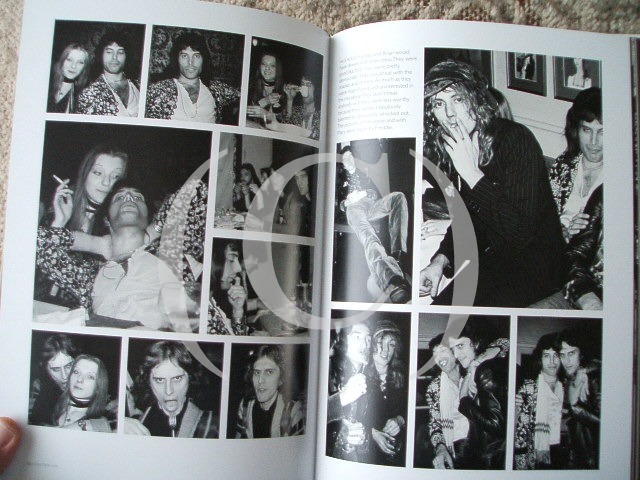 The period in which the pictures were taken, from the very first day Mick Rock met Queen. 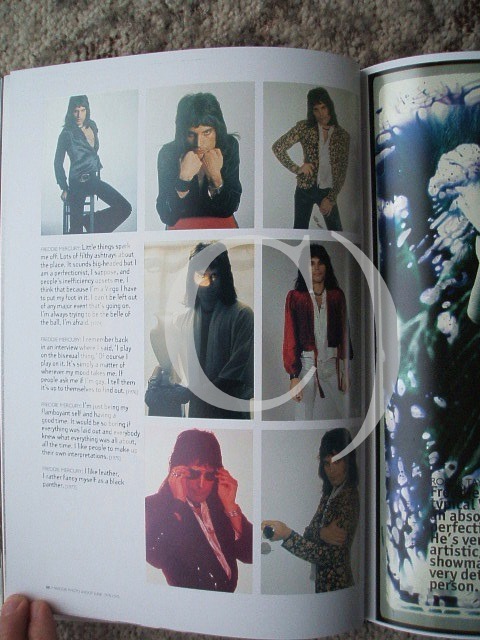 His first photoshoot was at Imperial College on the 18th November 1973. 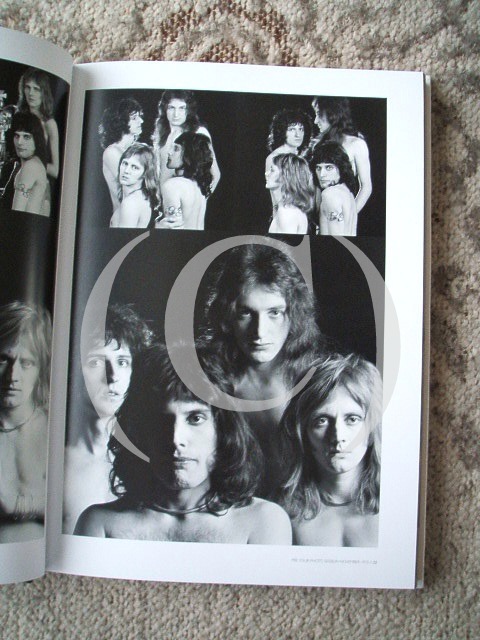 While reading this book I listened to Queen II, Sheer Heart Attack and A Night At The Opera. 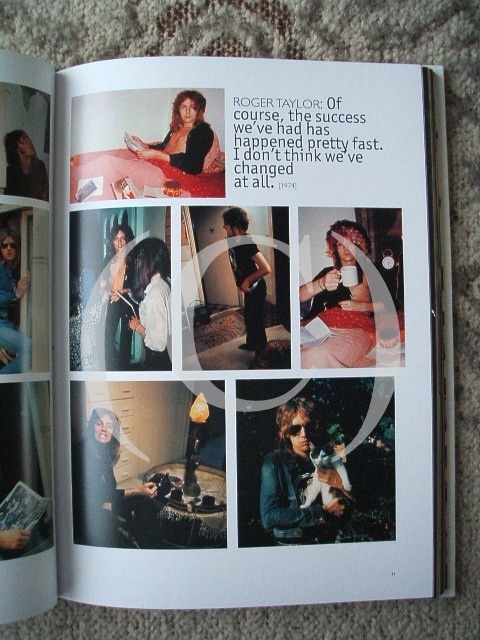 Afterwards I watched the Live At The Rainbow video... How I wish I would have been there in real life. 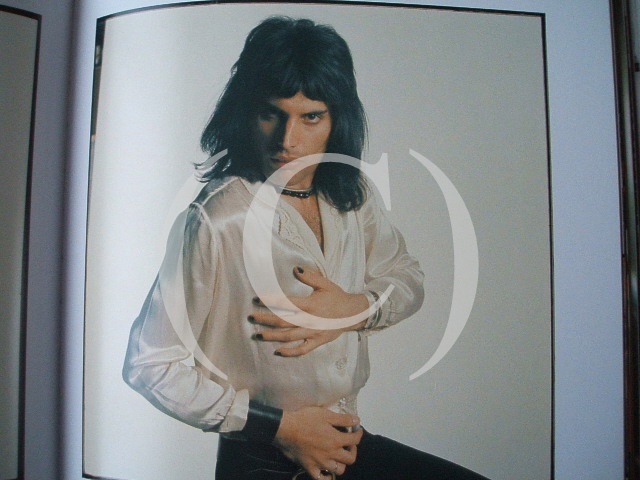 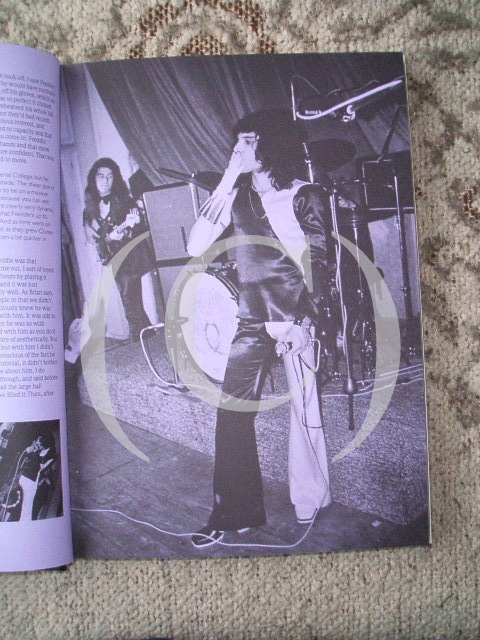 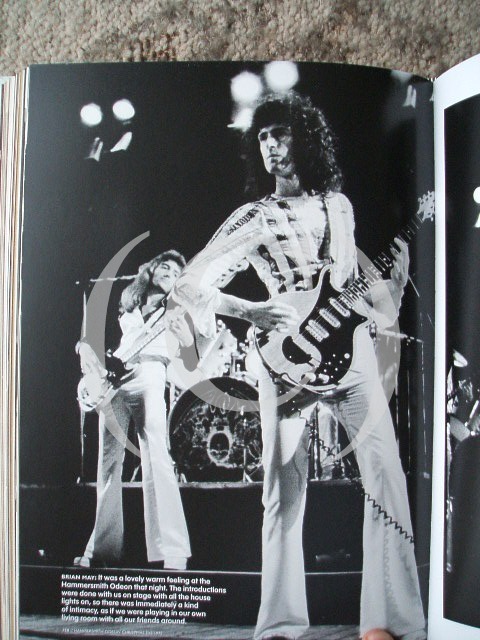 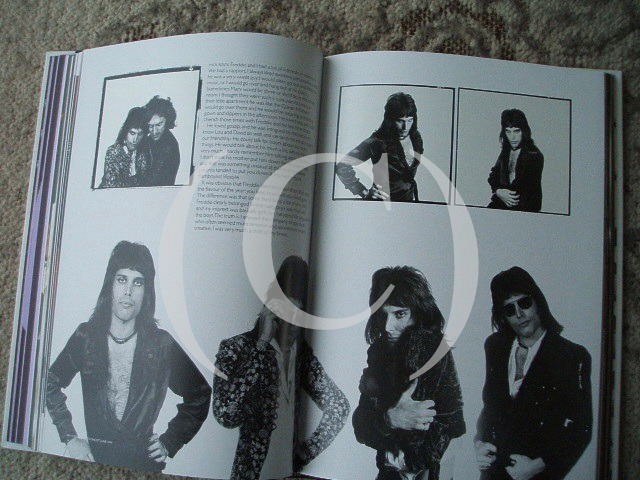 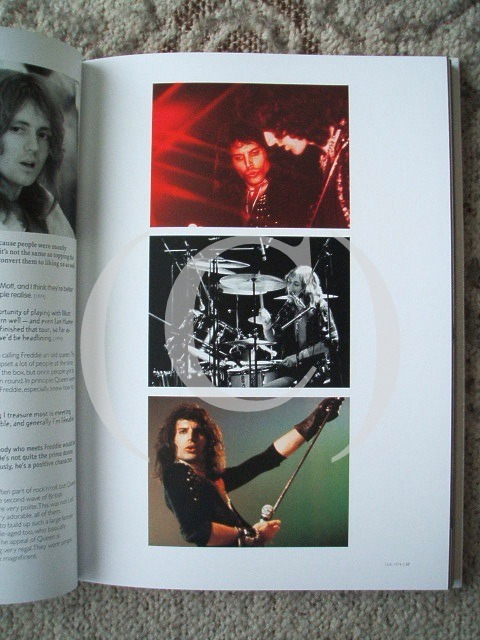 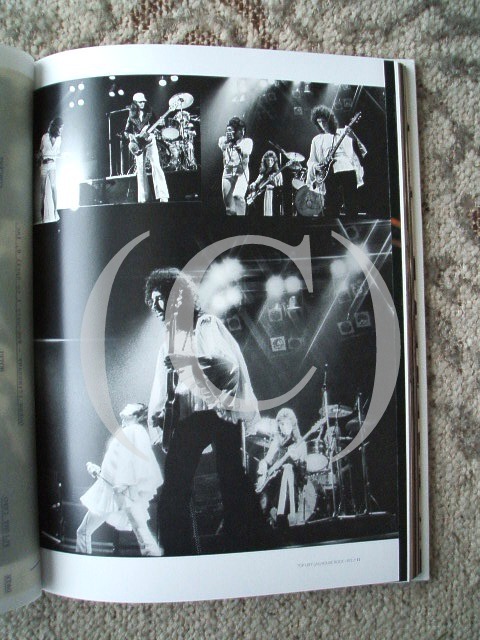 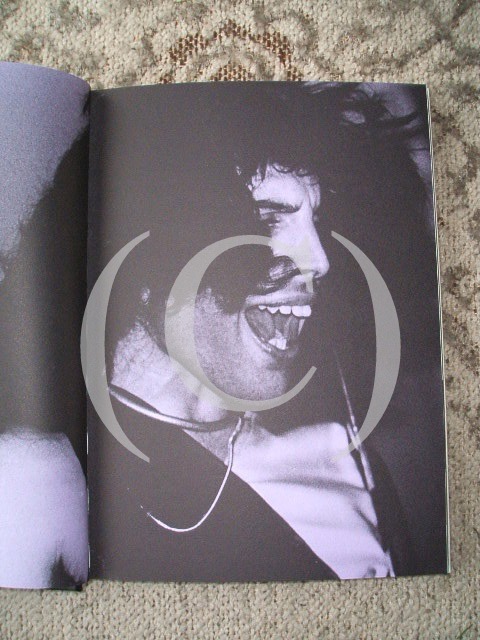 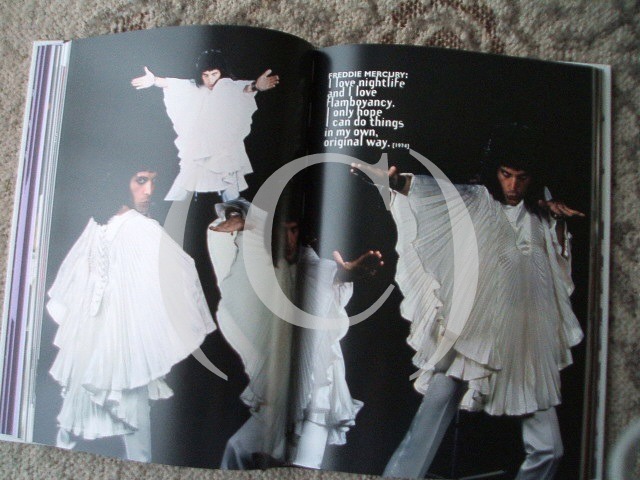 The book contains photoshoots for album sleeves, such as the famous QUEEN II and Sheer Heart Attack. 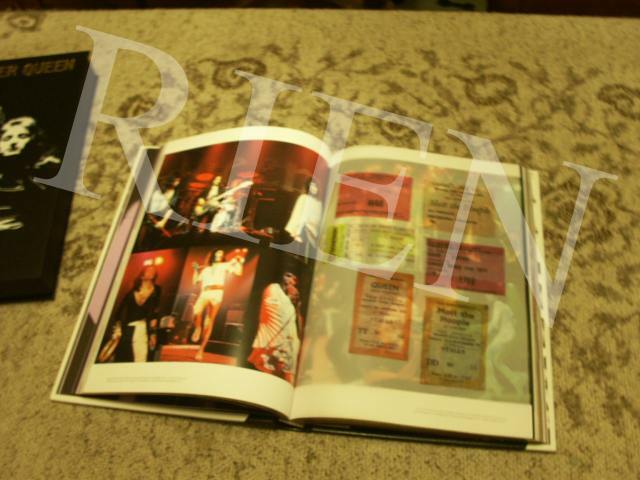 Further pictures taken at live concerts (e.g. 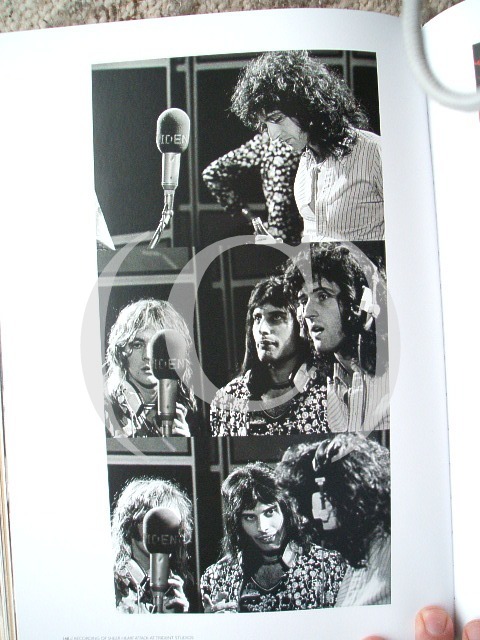 Live At The Rainbow), working in the studio (e.g. 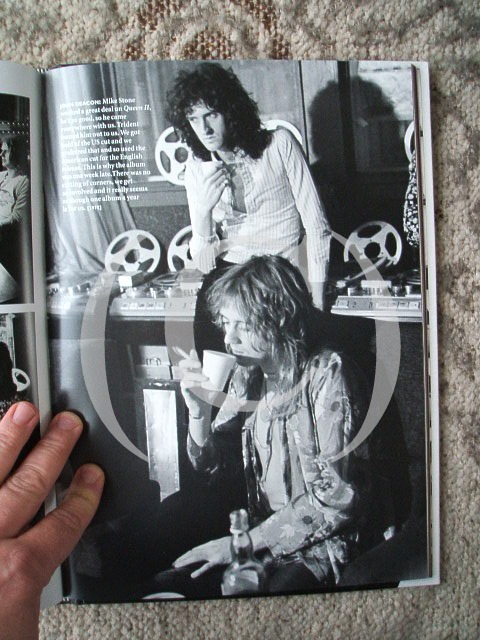 Roger singing Modern Times Rock 'n Roll, recording Sheer Heart Attack, Freddie - Brian and Eddy Howell working on The Man From Manhattan), and also very precious are the pictures of Freddie posing solo or with Mary Austin. 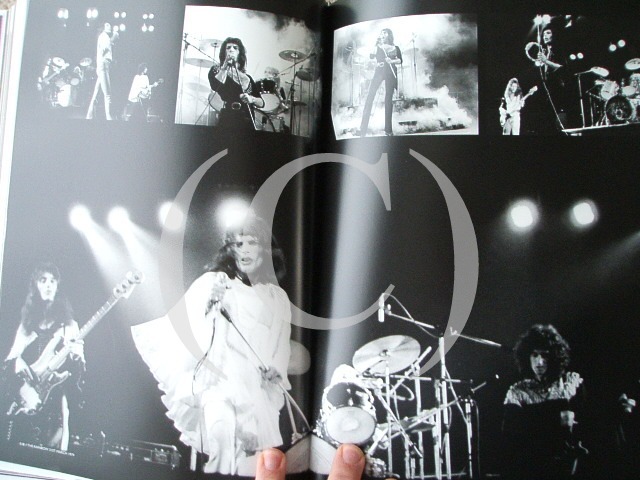 Also included are pages filled with the early concert tickets and a couple of pages containing schemes of Queen touring the USA, mentioning venues where they performed and hotels they were staying. 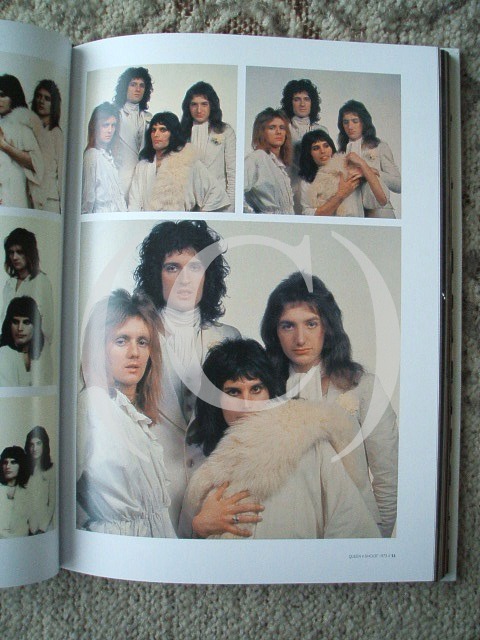 To me this book is in the same category (of most precious Queen items) as the pictures of me posing with Roger and Brian, the Queen Cabinet (20-cd collection), the Freddie Mercury Statue replica and the Freddie Mercury Solo Collection.